BRB I’m in the process of coming down off a major sugar high. 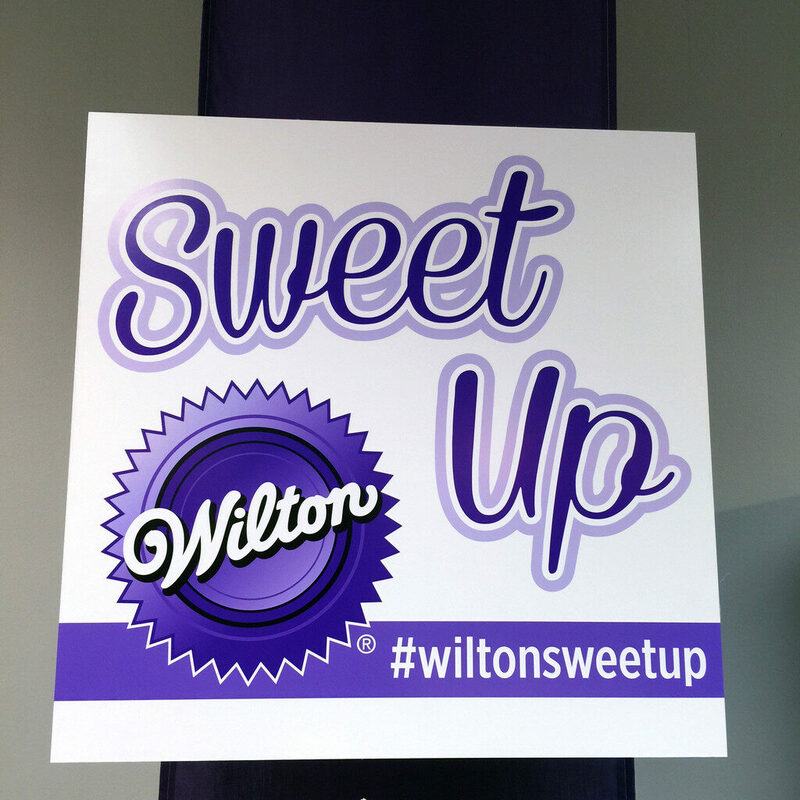 It’s hard not to get on a sugar high when you spend an entire two days at Wilton’s headquarters. Everywhere you look, there’s frosting, candy melts, sprinkles, and cake! So, yes, it’s basically heaven on Earth. 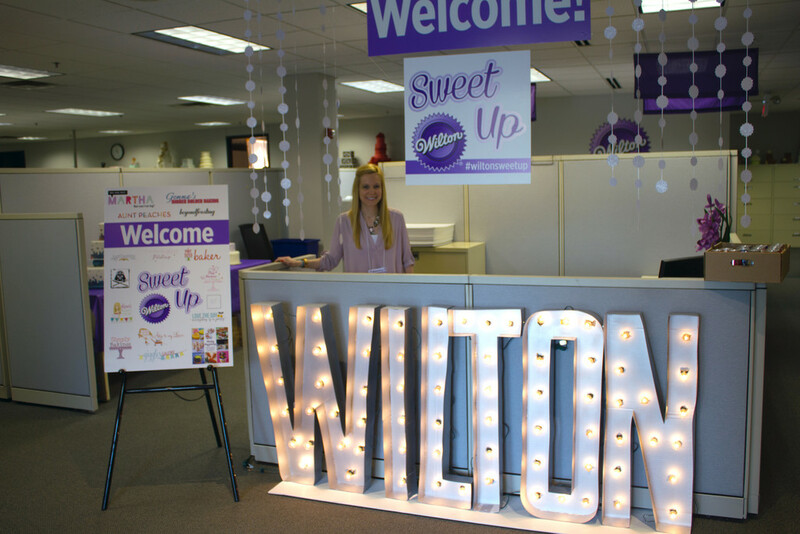 I got the chance to visit for my second year in a row as a member of Wilton’s Sweet Treat Team and have to say that this year was even better than last! 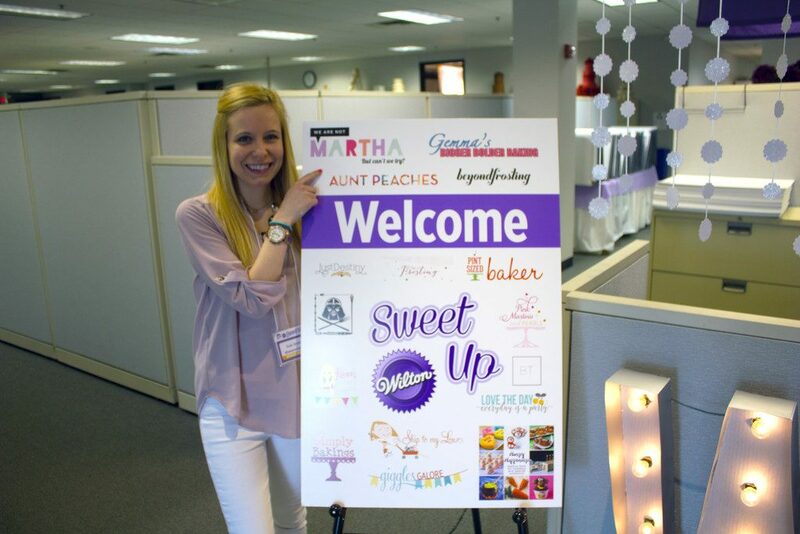 I love a good welcome sign! 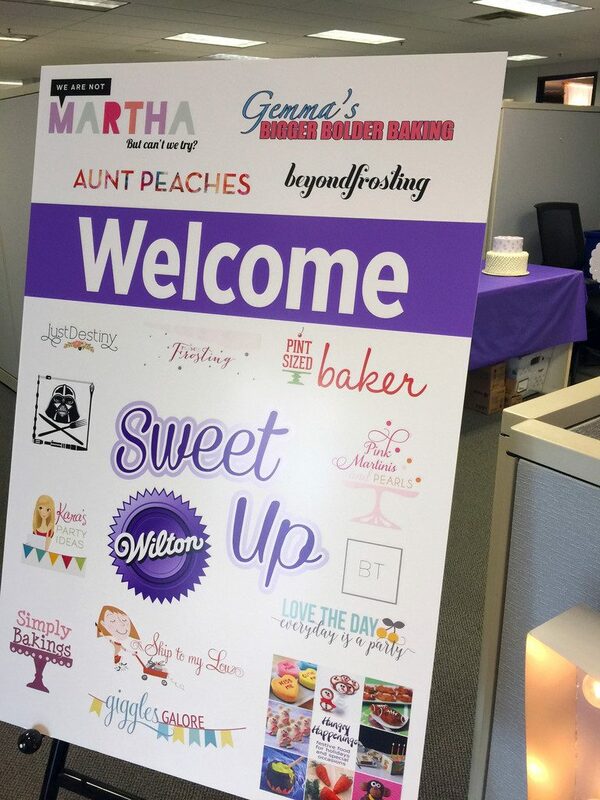 The Treat Team joined Michael’s bloggers and YouTubers for Sweet Up. 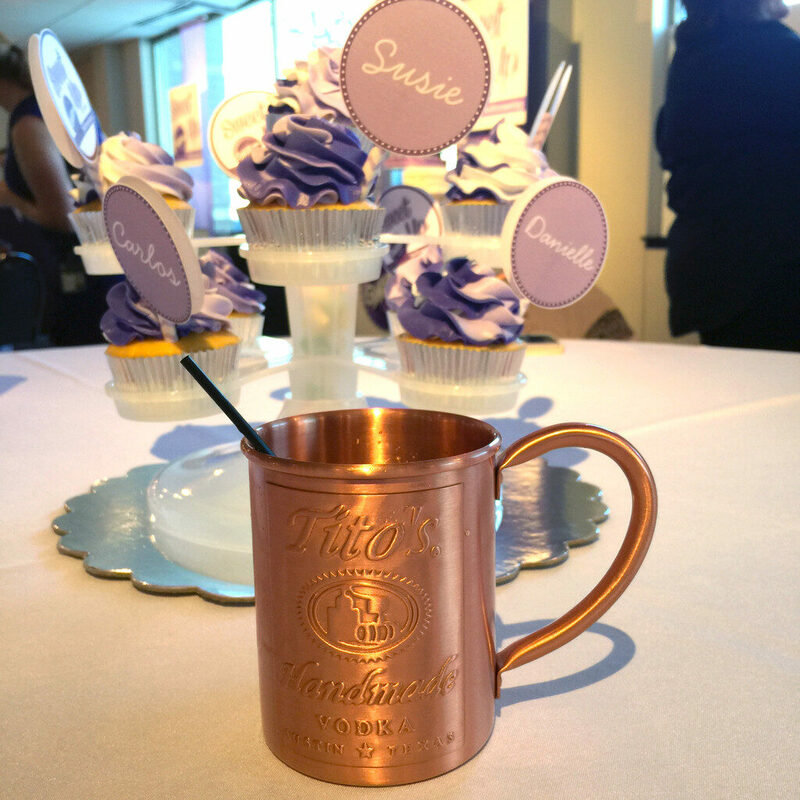 The Sweet Up all started with a delightful welcome party sponsored by Tito’s Vodka and featuring my first dose of Wilton buttercream. 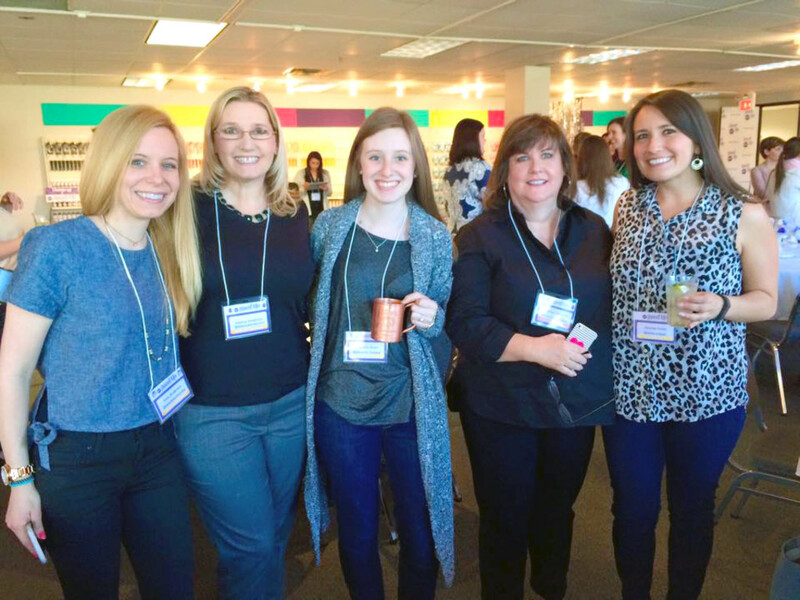 It was fabulous to be reunited with some of my Sweet Treat Team friends from last year, Adeina, Danielle, Marilyn, and Desiree from Wilton. 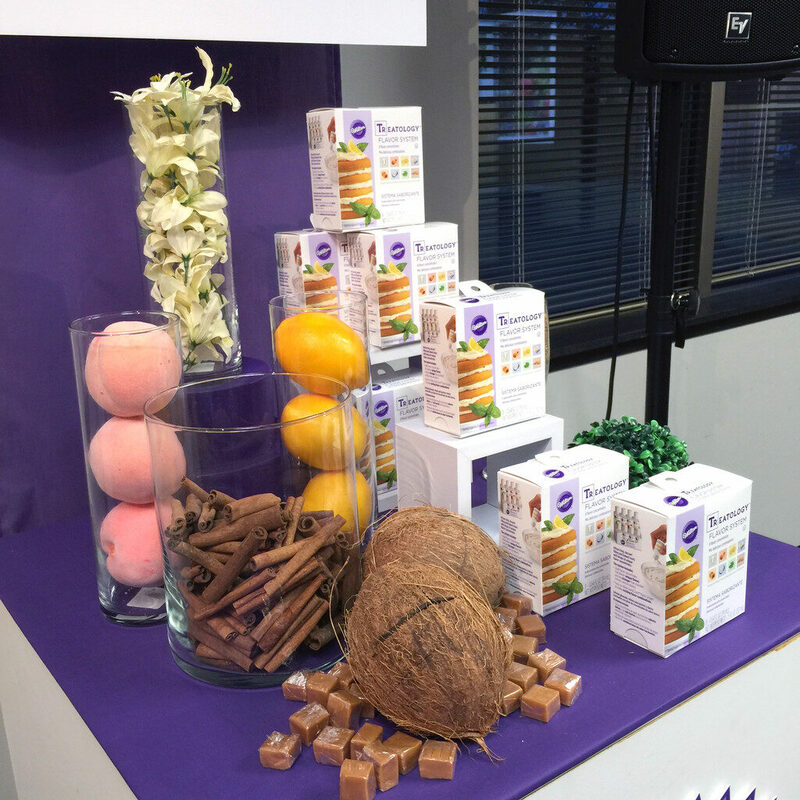 And tons of displays featuring their new products… Like their new Treatology Flavor System. I just wanted to move into their little corner kitchen setup and get baking. Marshmallow candy melts are my all-time favorite Wilton treat. Though I’m beyond obsessed with their new Color Right System. 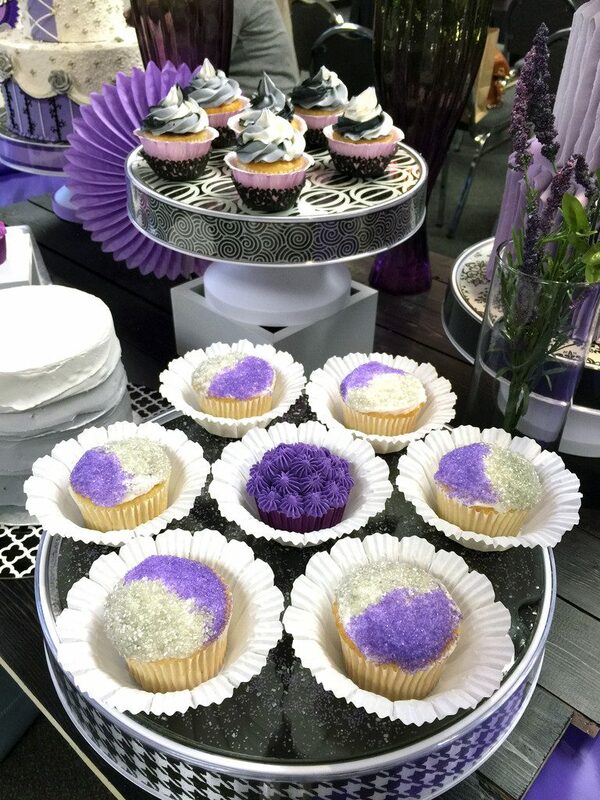 I have quite a few posts coming up featuring Color Right- it makes for some fabulously fun baked goods and icings. And the full pack of us! 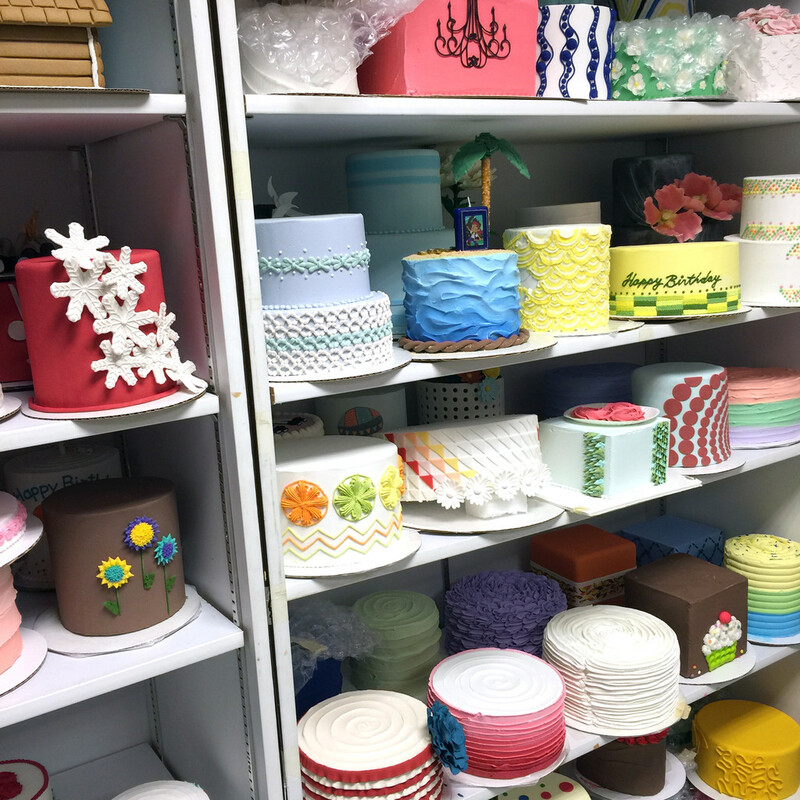 We spent the evening eating and chatting until we sat down to learn all about the Baking and Decorating Trends for 2015. I’m already a big fan of many of these trends and can’t wait to experiment with them… Merveilleux will definitely be happening in my kitchen (I’m meringue obsessed!) and I love the idea of Middle Eastern spices in baked goods. Plus, smoked sweets? I’m game. 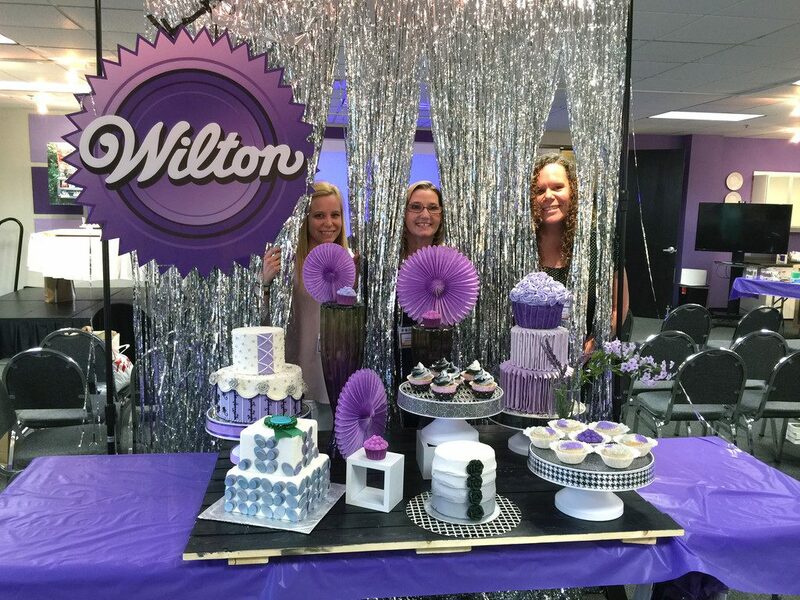 We were also there to see Wilton announce their 2015 cake of the year. 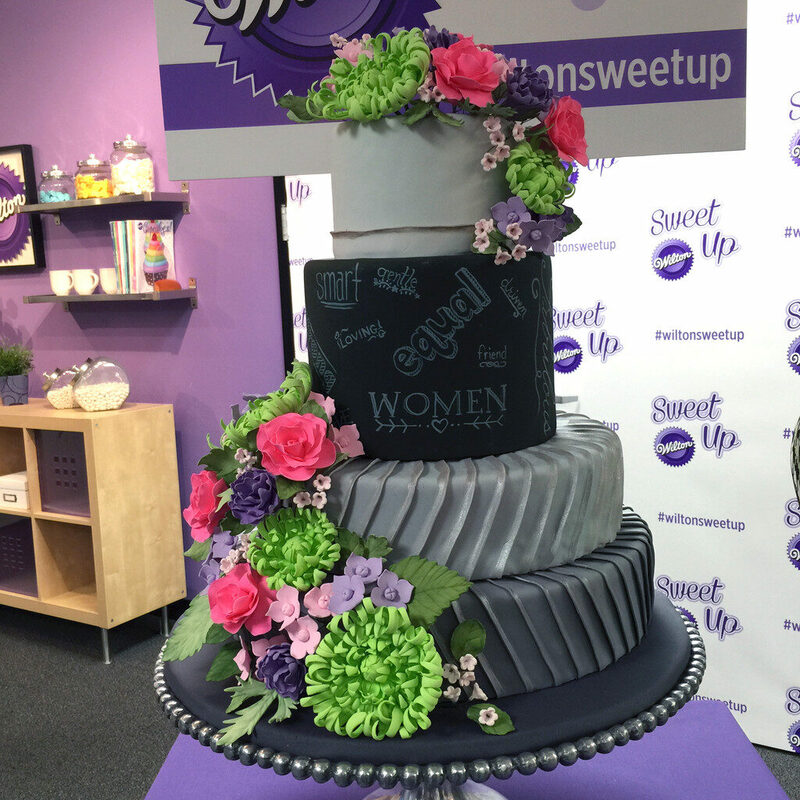 Look at this stunning beauty of a cake… That’s black fondant written on with white candy melts (!!!). And some absolutely beautiful flowers. I’m in love with those colors. 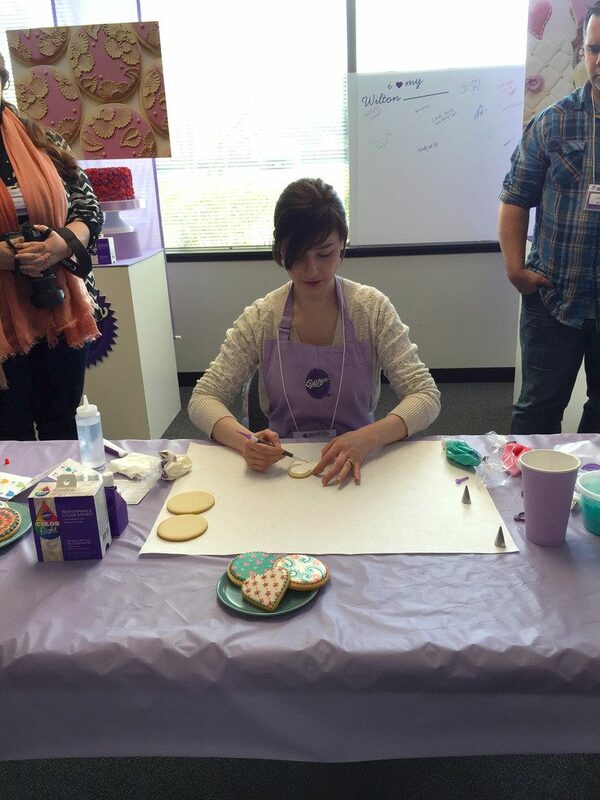 One of my favorite sessions of the event was cookie decorating with Amber Spiegel of Sweetambs.com. 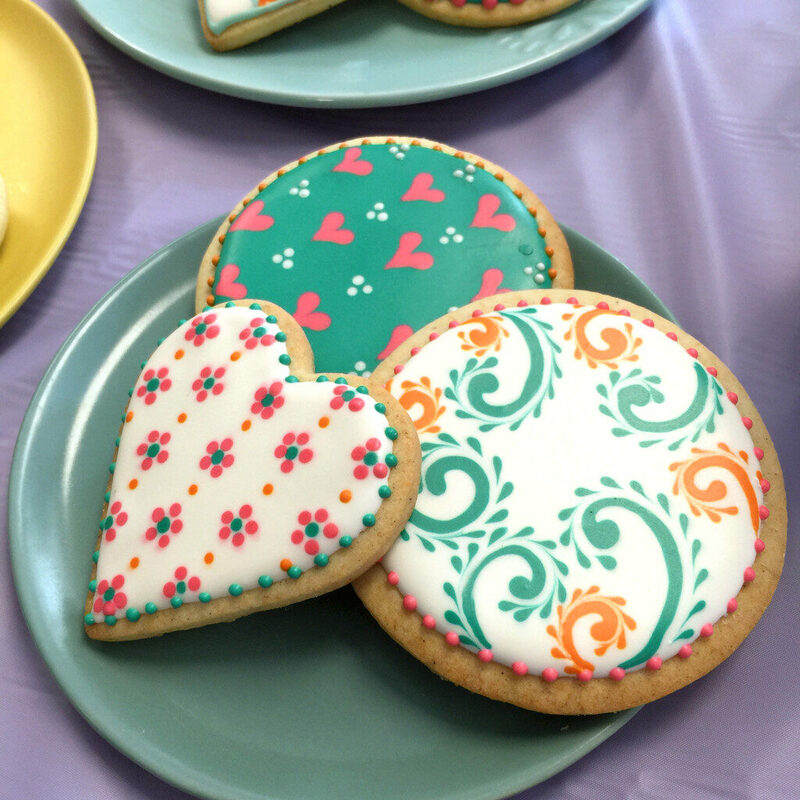 How stunning are these cookies she decorated with royal icing?? 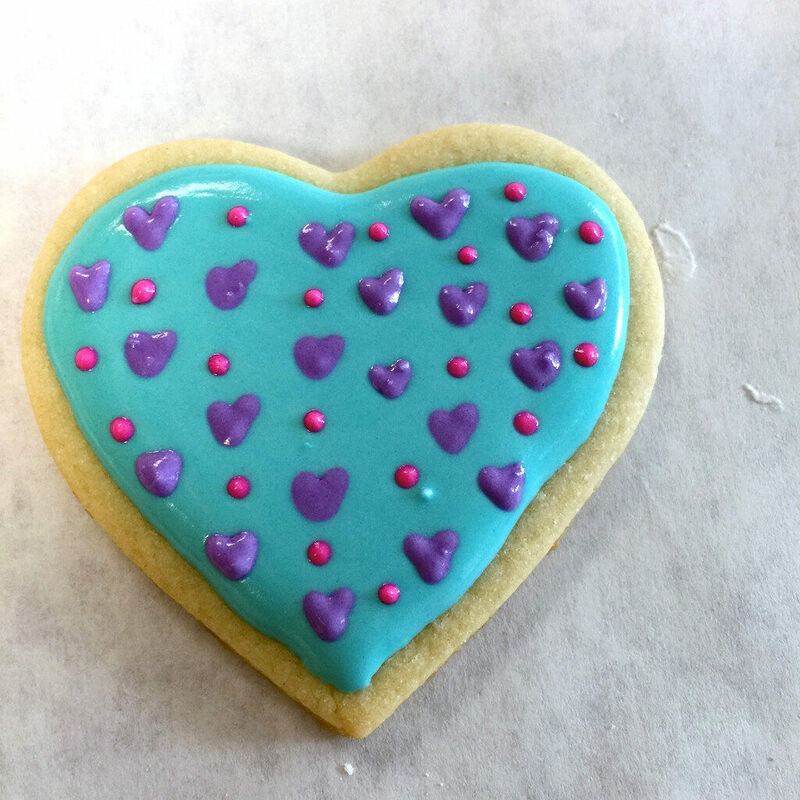 I mean… Will I ever be this good of a cookie decorator?? 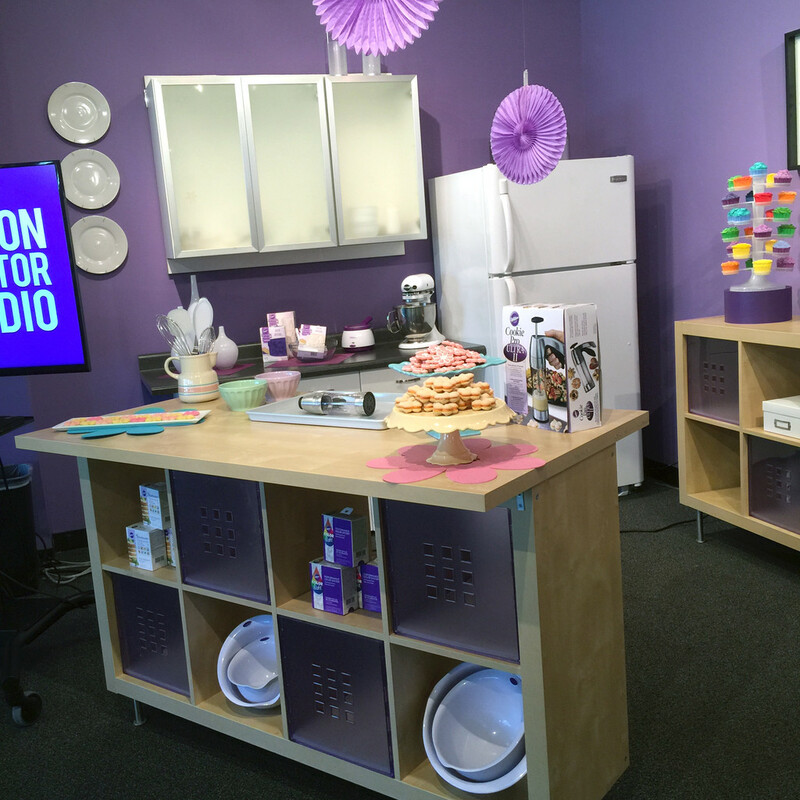 I got to test my skills with Wilton’s new Color Right Performance Color System… Which is 100% my favorite new product from Wilton. I’ve been playing around with it in my own kitchen quite a bit and it’s incredible. Basically, you can make any color you want, following the ratios on a pamphlet that comes with the set. So, you can always get the exact shade of a color right. 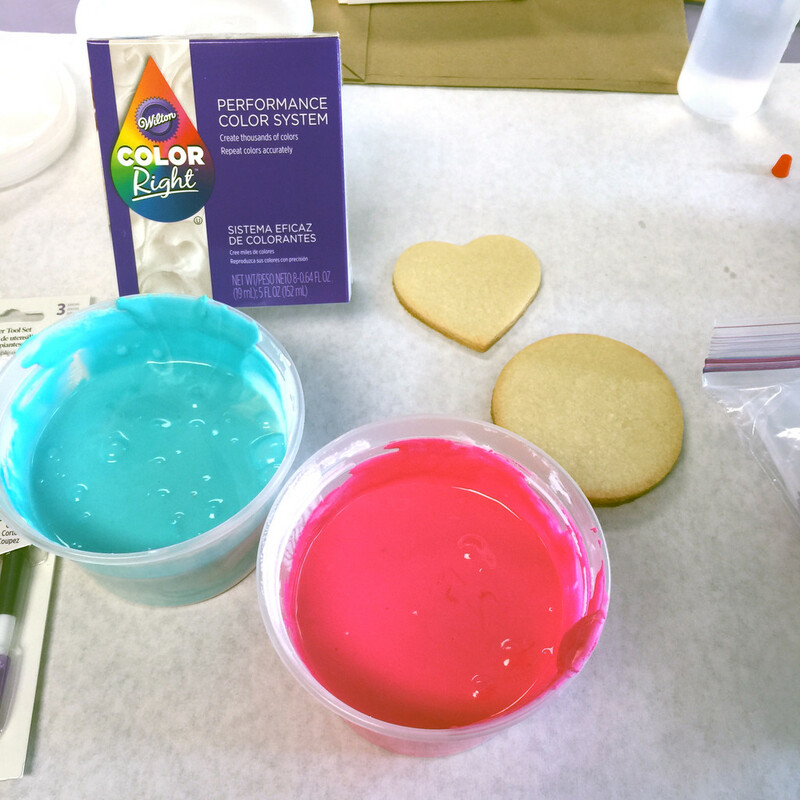 Plus, the coloring is super concentrated and you can make seriously bright and vibrant icings. I still have a long way to go before I’m at SweetAmbs level of decorating. 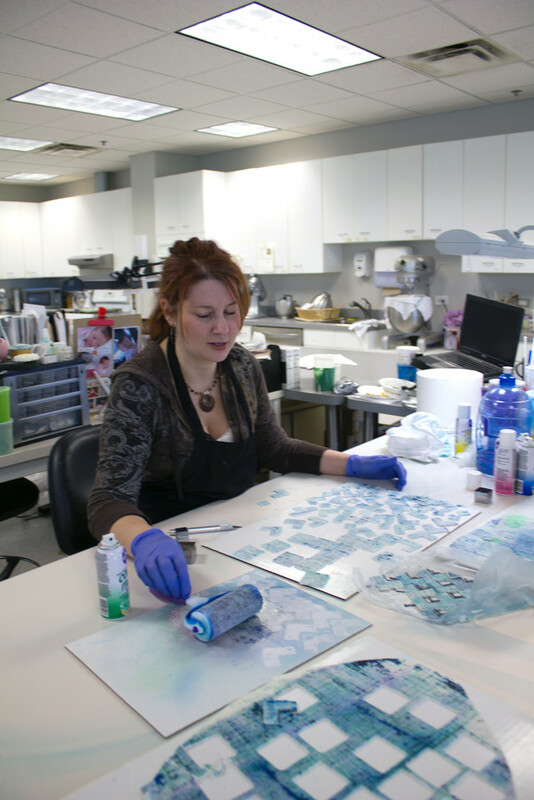 But I do feel like I learned a ton from her and am seriously excited to practice my skills! 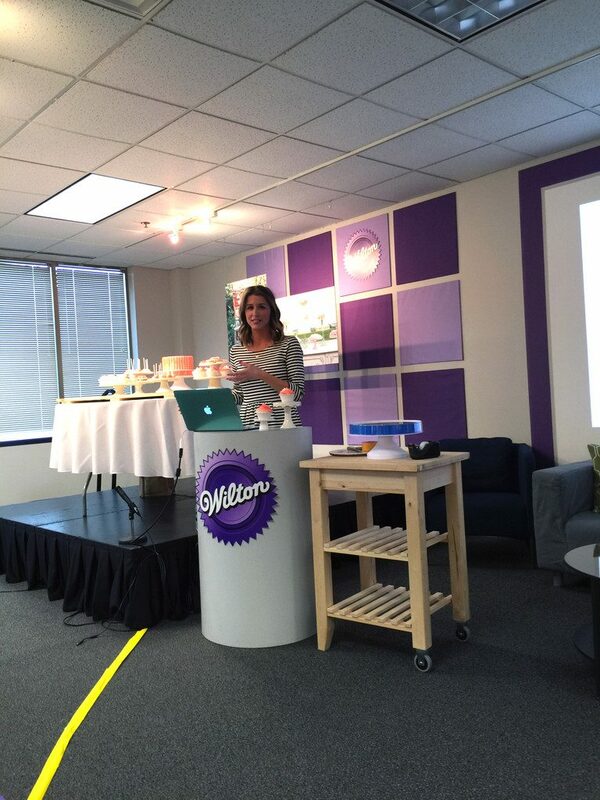 Before the Sweet Up event had started, we all took surveys that told us which consumer group we fit into. 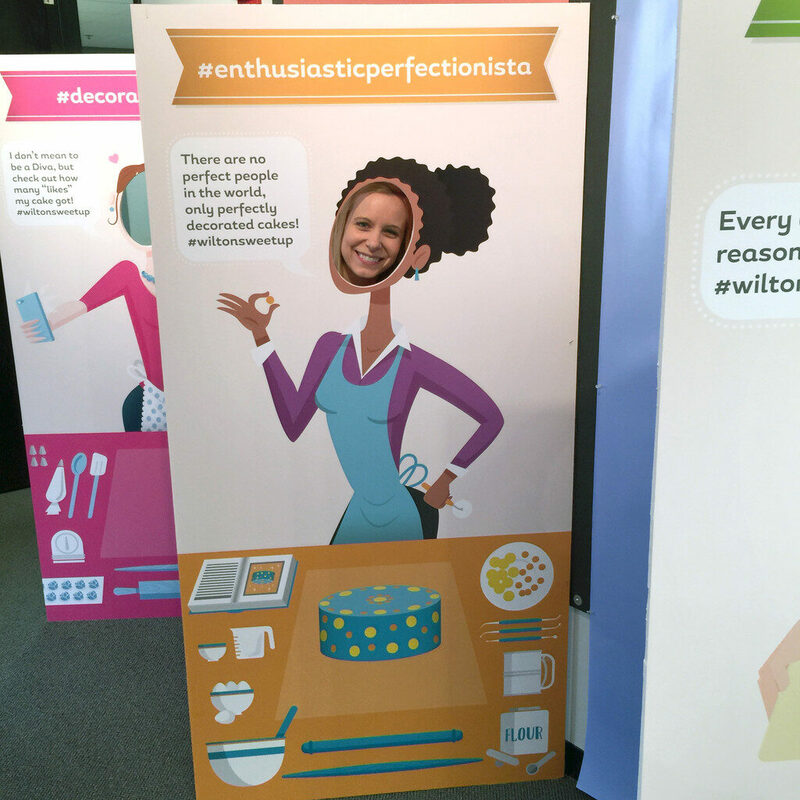 My quiz told me I am the Enthusiastic Perfectionista. 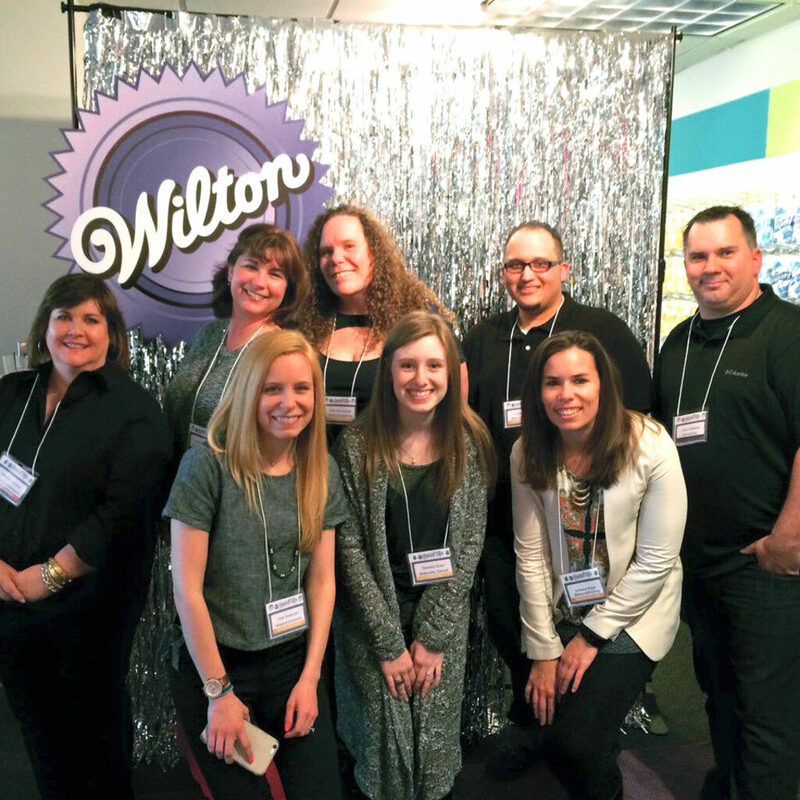 Wilton had a room filled with the different personas, so we could learn all about their consumers and find our own category! To be honest, I feel like the Aggravated Idealist describes me a whole lot better. This is totally me in the kitchen… Just ask my husband! Can we all just take a moment to lightly sigh over WIlton’s prop room? Can we please just figure out a way to move this entire thing into my house? 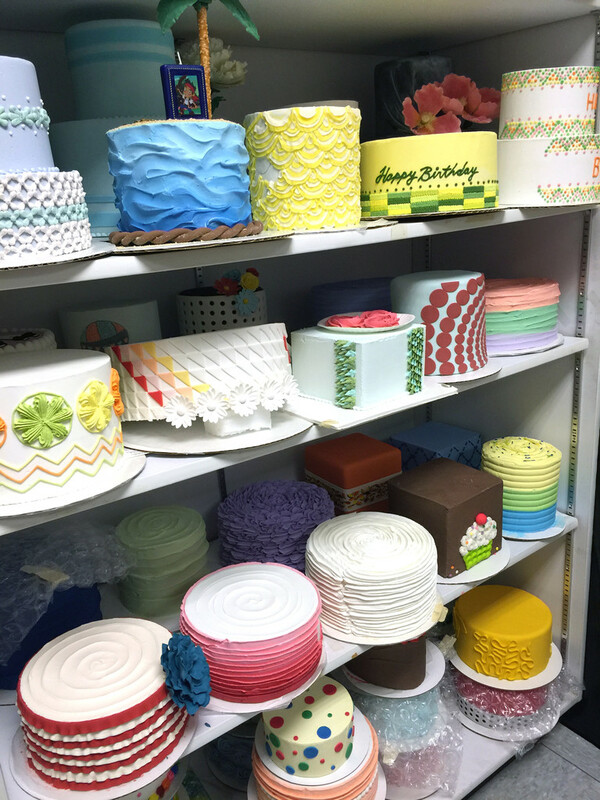 Next up, we stopped by Wilton’s cake vault, which yes, is basically a big closet packed with cakes. Again, I need this in my house. 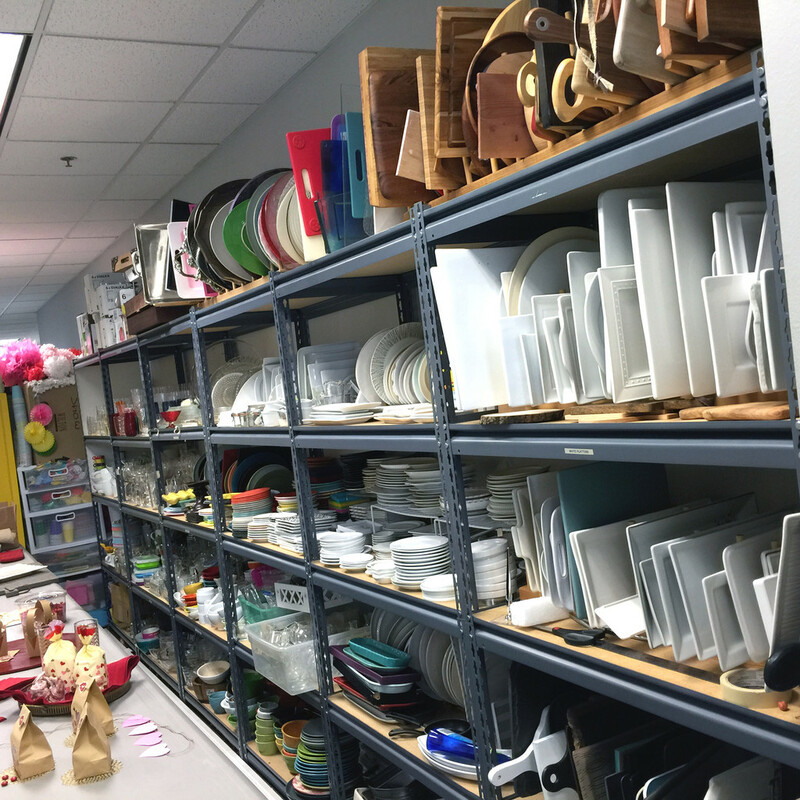 SO much inspiration in just a little room. There’s also ton of inspiration in Wilton’s decorating room! This is where the ideas are brought to life. Wilton’s decorators work hard on projects for digital assets, packaging, and marketing well in advance. It was so cool to get a peek at this. Man, we packed so much into this day. 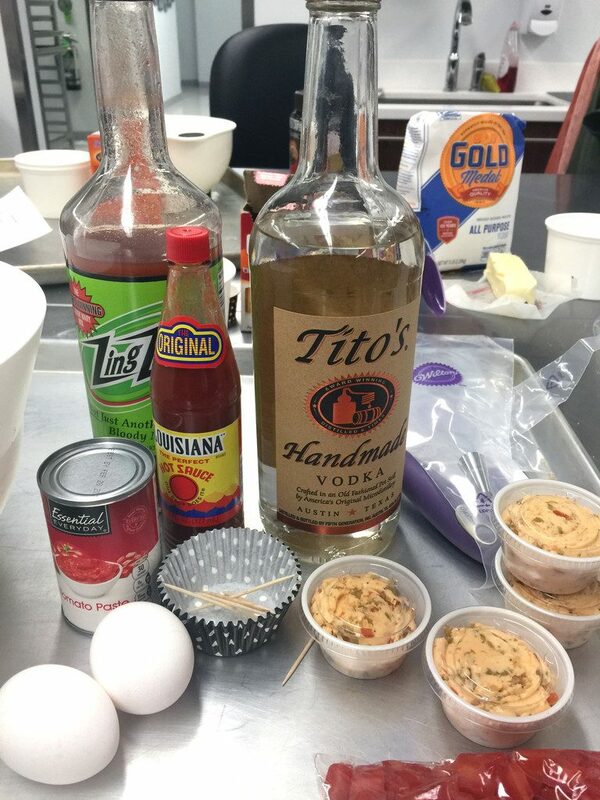 Next up was Boozy Baking with Beth Somers. 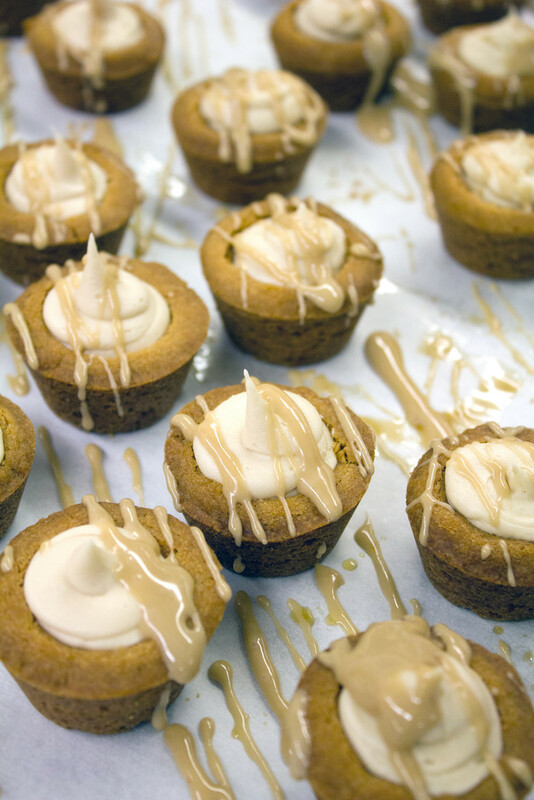 And White Russian Cookie Cups. 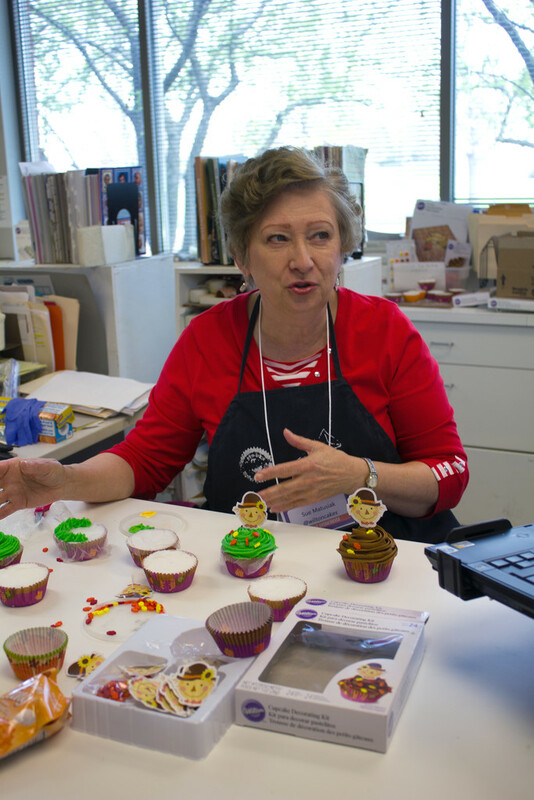 Thankfully, we got a little break at the Wilton store. YES, I’d like to move in. 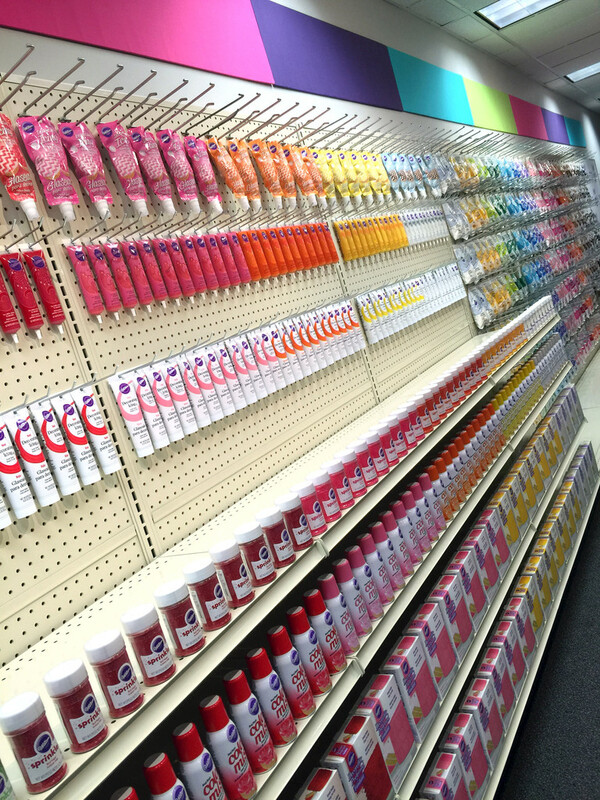 YES, I want this wall in my house. Next up? 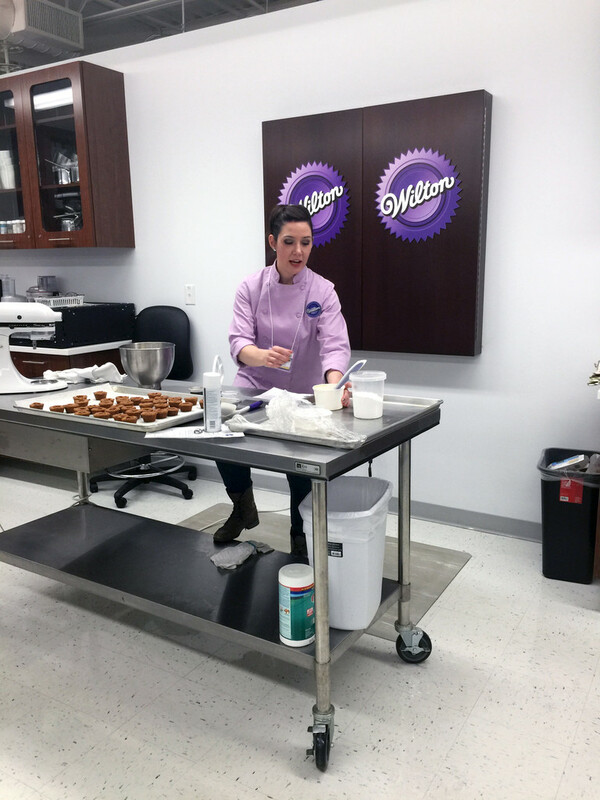 Taste testing cookies and icing with Wilton’s new Treatology Flavor System. These new extracts come in super fun flavors like sweet meyer lemon, warm cinnamon graham, and even fresh basil. I’m usually not a big peach flavoring fan, but I was eating the peach + champagne buttercream with that spoon you see right there. 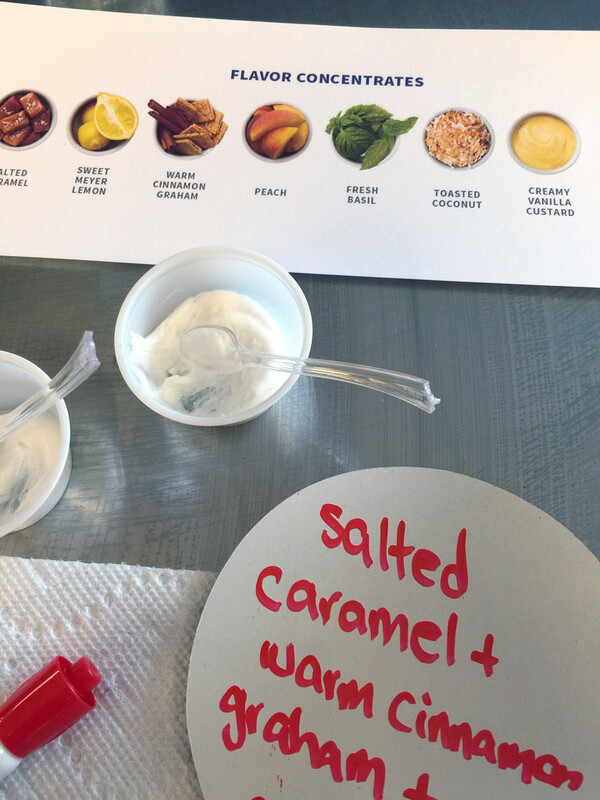 I got all of the flavor combos right except for the last one, which was a triple combination! We rounded out the day by learning all about making the perfect dessert table from Jenny of Jenny Cookies. This girl is amazingly talented. Then we were challenged to make our own dessert tables… I think our group did a pretty fab job of putting our table together. 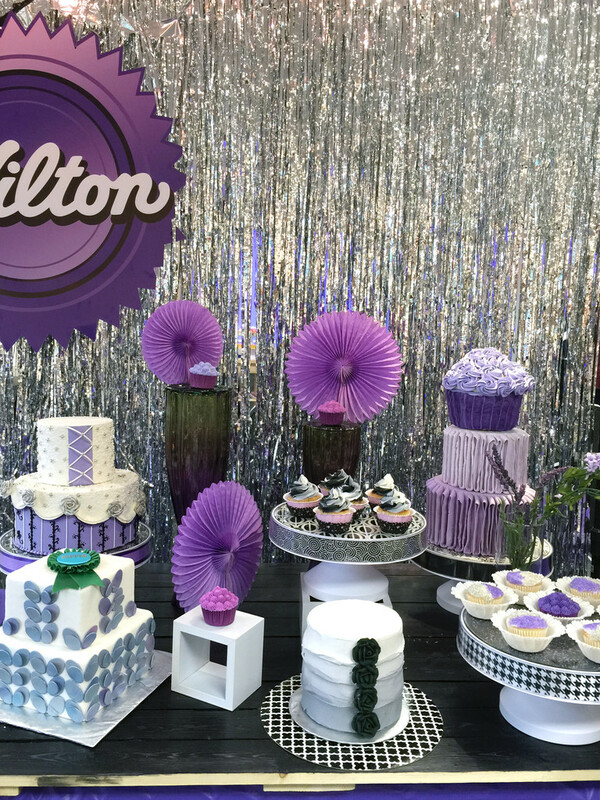 We managed to use four of Wilton’s new Display Your Way Cake Pedestals. So, I think it’s pretty safe to say I had an awesome time!! Thank you so much to Wilton for being amazing hosts and showing all of us such a lovely time. 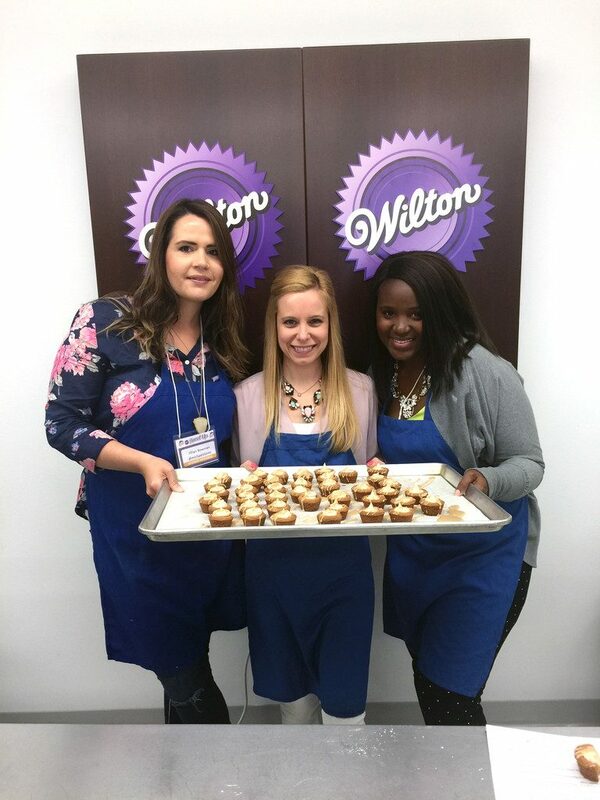 I’m so lucky to be part of the Sweet Treat Team and am even more obsessed with Wilton than ever! I hope you all have a glorious weekend filled with sweets and fun! I’m off to my friend’s bachelorette party in Nashville! 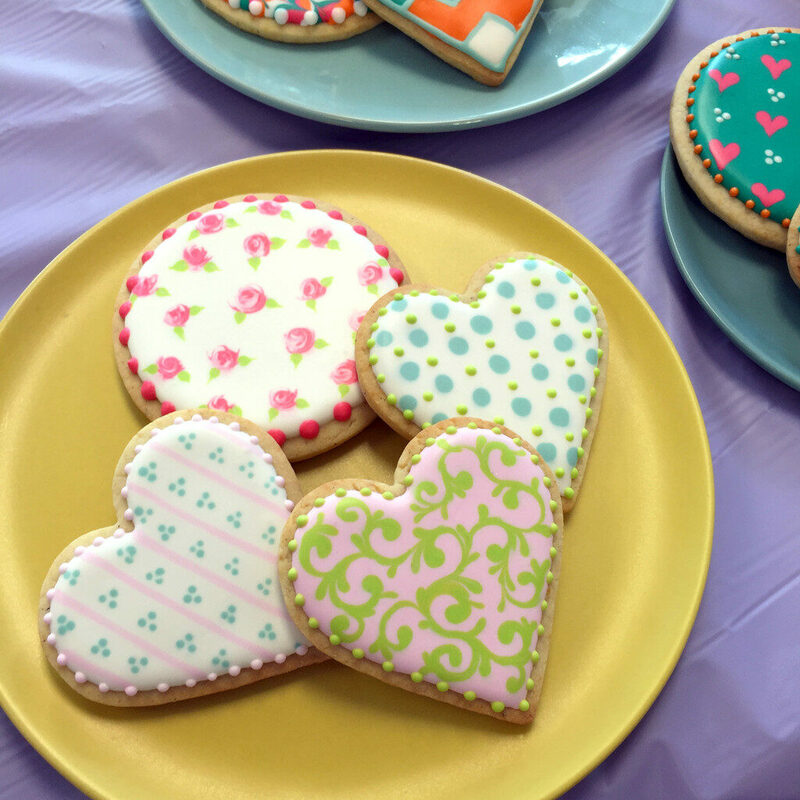 Do you have any weekend baking plans? 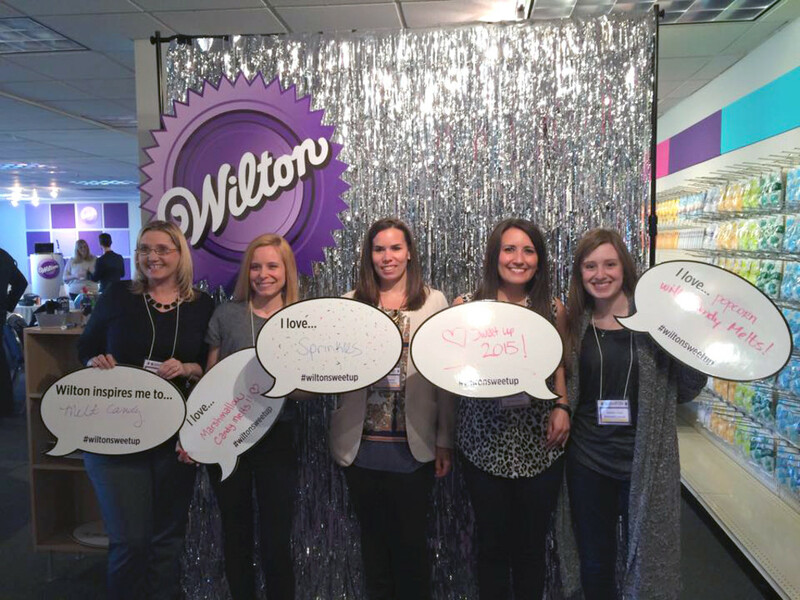 Full disclosure: Wilton sponsored my trip to their headquarters, but as always all opinions are my own. 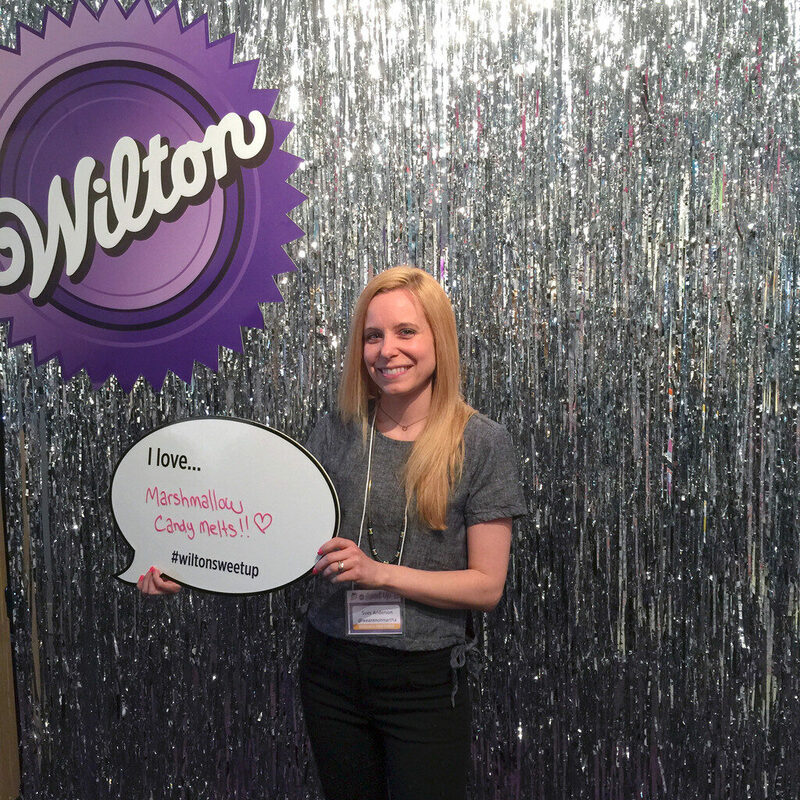 I think you know by now that I am a huge Wilton fan!! 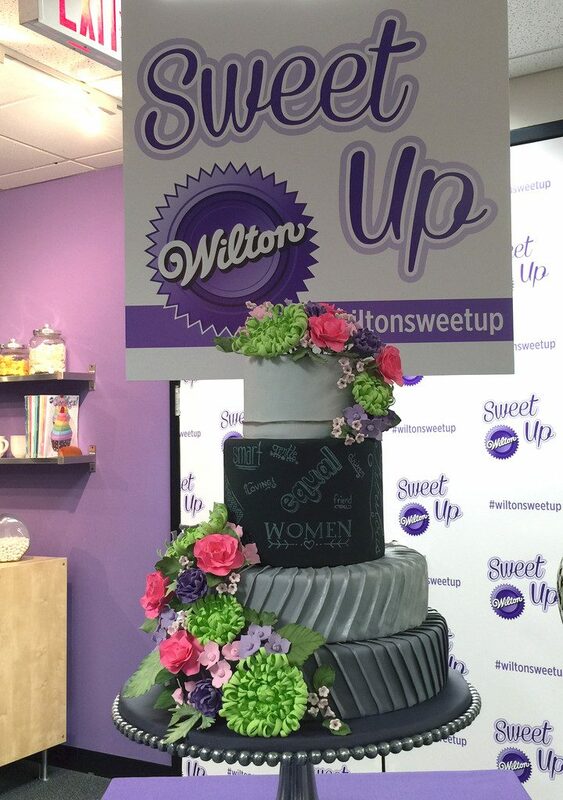 12 Responses to "Wilton Sweet Up 2015"
Seriously? This looks like the best day ever! So so so much fun! Sues! It was great to finally meet you! I’m happy to see you had as much fun as I had. That place really is magical, isn’t it?! I’m still writing my post, it is absolutely insane how long it’s going to be. I blame all the pictures I took. This looks sooo fun. Super jealous.. Haha but glad you had an amazing time!!! I totally agree about the sugar high. I think my diet is finally balanced out now. LOL. Although I’m still dreaming of those white russian cookie cups!! It was so great to see you again this year! 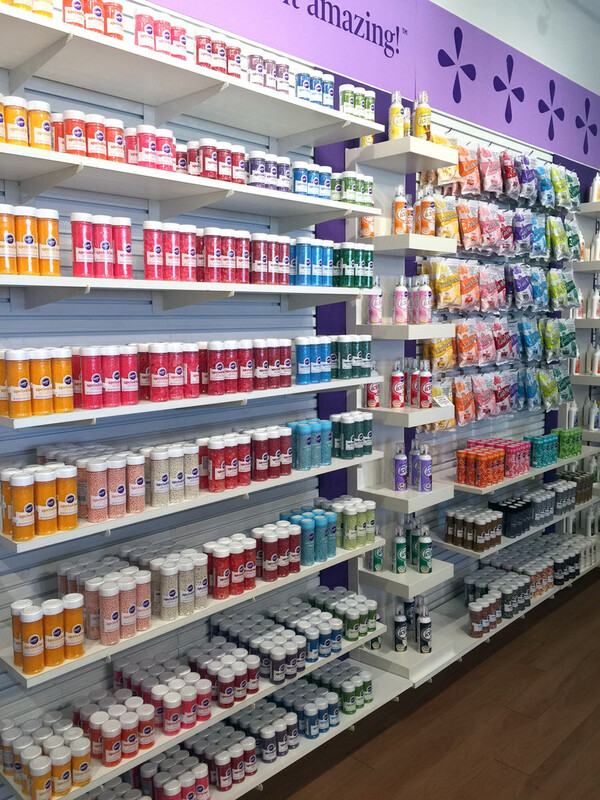 Can’t wait to see what you create with the new Color Right and Treatology systems!! I’m having so much fun experimenting with both of them. This looks like such a fun and sweet trip! Oh wow, how much fun did you have! That place looks like dessert heaven. 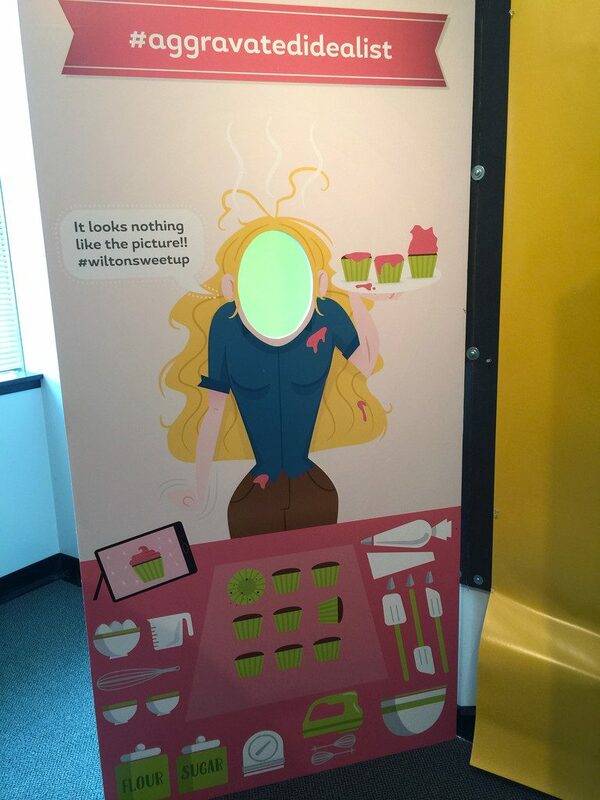 I can’t wait to try the Treatology! Girl looks like so much fun and their prop room?!!! I want all those props haha! !